Scientists at the U.S. 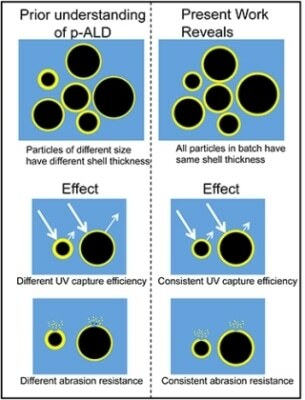 Naval Research Laboratory (NRL) have devised a clever combination of materials - when used during the thin-film growth process - to reveal that particle atomic layer deposition, or p-ALD, deposits a uniform nanometer-thick shell on core particles regardless of core size, a discovery having significant impacts for many applications since most large scale powder production techniques form powder batches that are made up of a range of particles sizes. 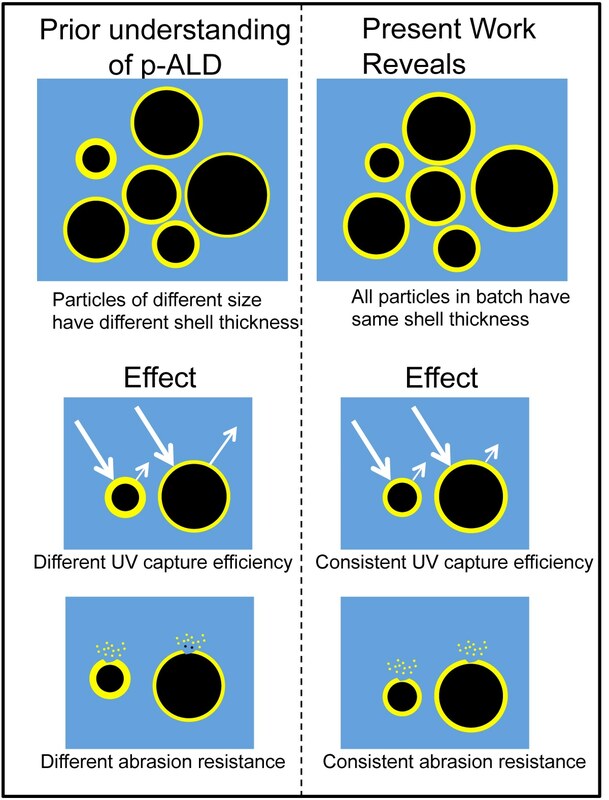 "Amazingly, we found that the growth per cycle of the alumina film on an individual particle in a batch was shown to be independent of the size of an individual particle, and therefore, a powder batch - which consists of particles sizes spanning orders of magnitude - has constant shell thicknesses on all particles. This result upsets the current understanding of ALD on particles," said Dr. Kedar Manandhar, ASEE postdoc, NRL Electronics Science and Technology Division and leading author of the research paper.